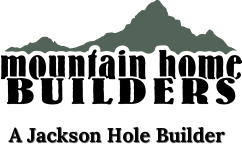 Mountain Home Builders LLC is a Jackson Hole, Wyoming based construction company. The owner, general contractor, project manager, project supervisor, and CEO, Peter Welker, specializes in building--and remodeling--custom homes and commercial properties throughout Lincoln and Teton County. Peter has been building in the Jackson Hole area for nearly 28 years. In addition, Mountain Home Builders works tightly with many respected Real Estate agents in the Jackson Hole area. As a general contractor, we understand the need to work closely with Real Estate agents, Real Estate brokers, Architects, Engineers, Planning & Zoning Officials, Interior Decorators, in addition to many other Subs, and affiliates, in order to provide superior services to our clients--and prospective clients. Knowledge and resources are gold!